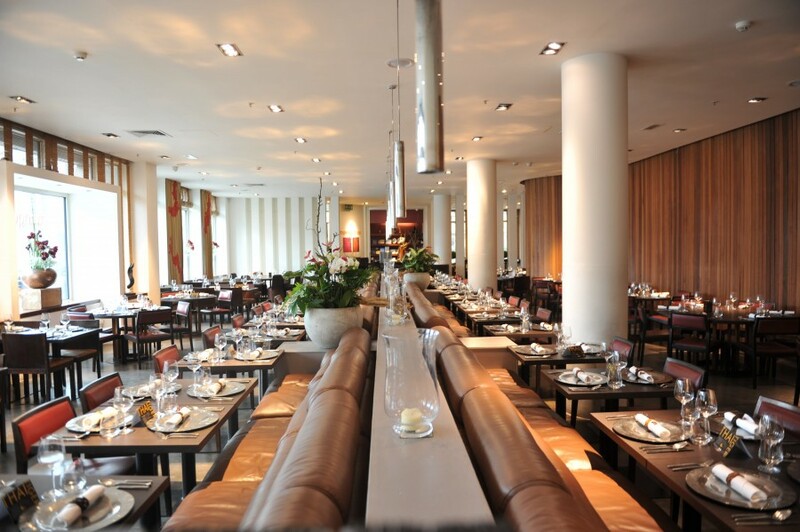 Mango Tree, a restaurant near Victoria Train Station, is a beautiful venue in the heart of Belgravia, London. A spacious seating arrangement provides a sense of privacy, if required for business lunches, whilst maintaining a lively atmosphere. As an event space, Mango Tree is extremely flexible, catering for product launches, awards ceremonies and smaller after work events in the bar alongside the vast dining area. Residing in Belgravia, Mango Tree Restaurant sits in Grosvenor Place. Serving fine Thai cuisine from lunch to dinner, the restaurant & lounge can accommodate up to 150 people seated or up to 250 standing. With wide spanning windows overlooking the city streets, guests are able to enjoy drinks at the cosy bar or chat amongst friends & colleagues besides the windows as they enjoy food cooked & created by highly trained chefs who have experience in cooking Thai food for over a decade. Mango Tree offers a menu built on the foundations of traditional Thai flavours and dishes, including popular dishes such as Pad Thai and Panang Curry. Vegetarian and Halal options are also catered for – a delightful vegetable Thai Green Curry is a firm favourite here at Mango Tree. Menu requirements can be made prior to any bookings, with the menu changing in line with the freshness of ingredients throughout the year. Drinks are served at the bar, with cocktails and asian sourced beers being at the forefront of a tasty beverage menu formulated by expert mixologists. Music can either be live or a DJ set-up can be installed for the evening upon request. Transport links make Mango Tree Restaurant widely accessible. Victoria Station sits a two minute walk away, and regular bus services running to Belgravia and surrounding areas such as Sloane Square are not far away from us here on Grosvenor Place. Mango Tree Restaurant is an ideal venue in the city of London for any occasion, including; Private Dining, Leaving Drinks, Birthday and Corporate parties, Product Launches & Entertainment Events and not forgetting festive/Christmas parties.